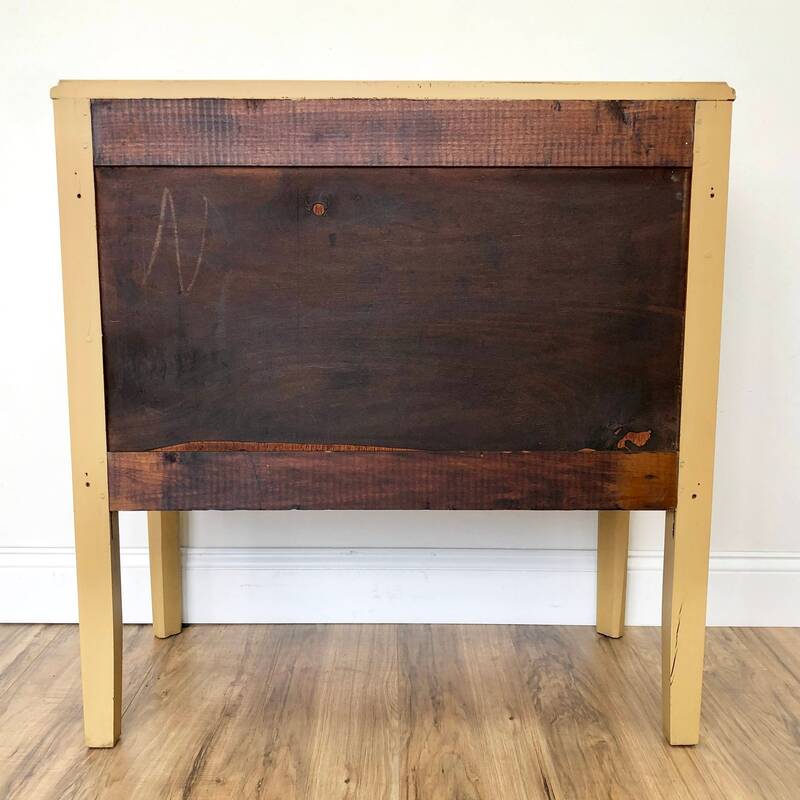 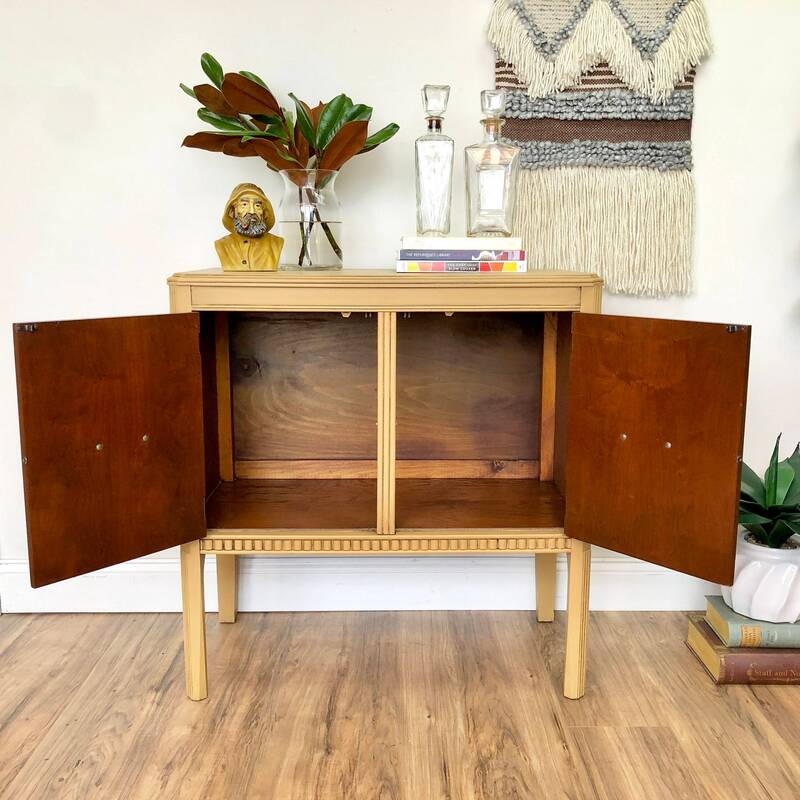 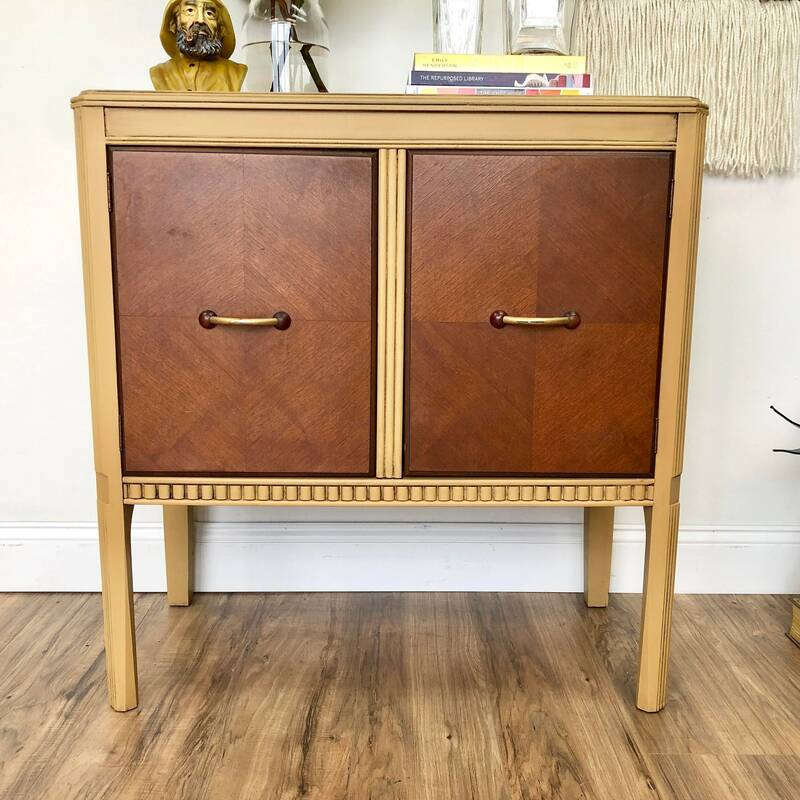 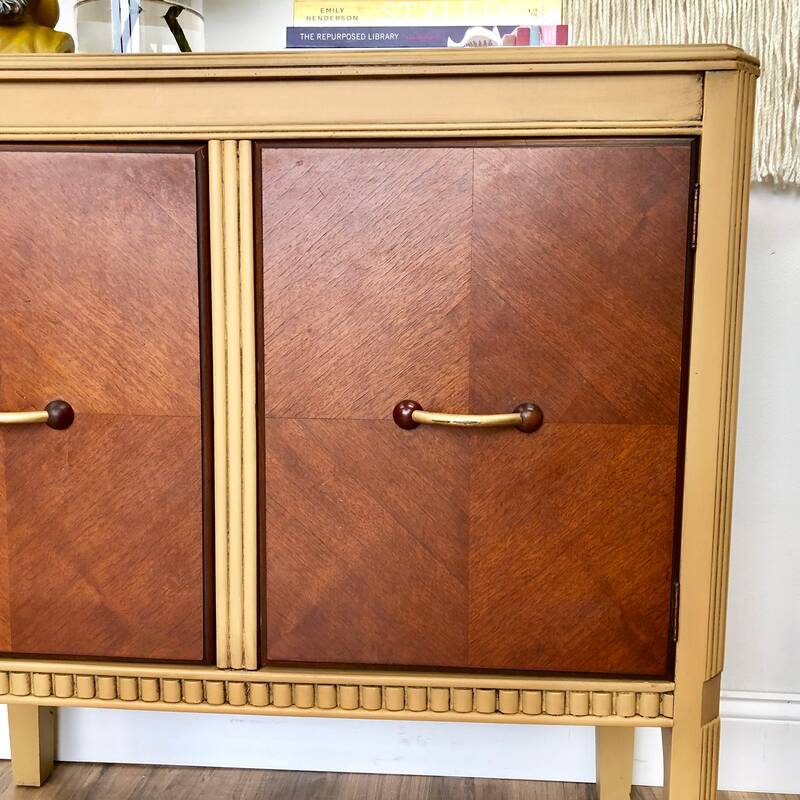 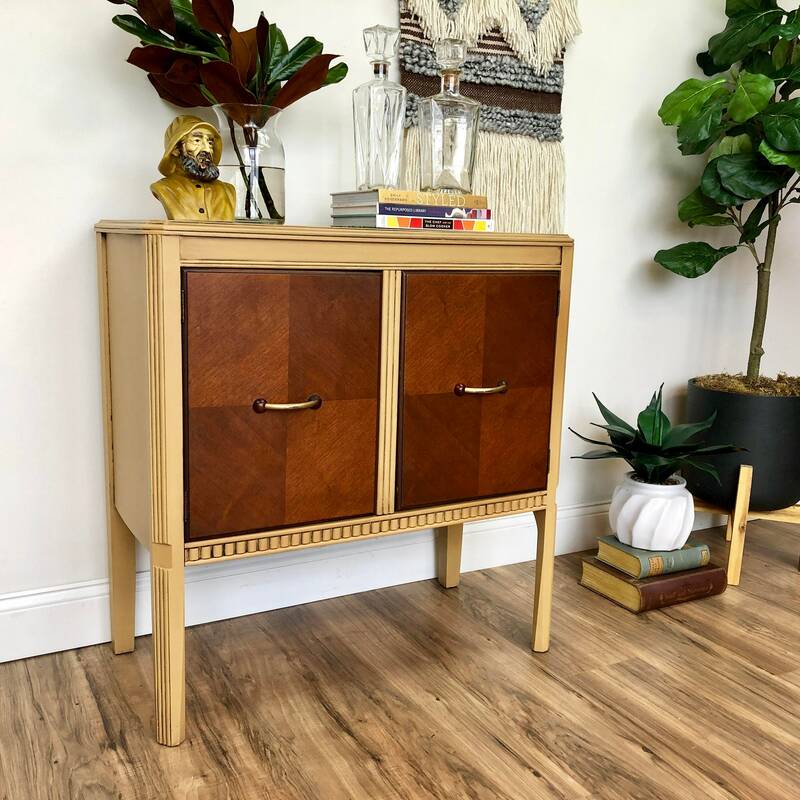 This small Art Deco buffet is the cutest piece of refinished furniture! 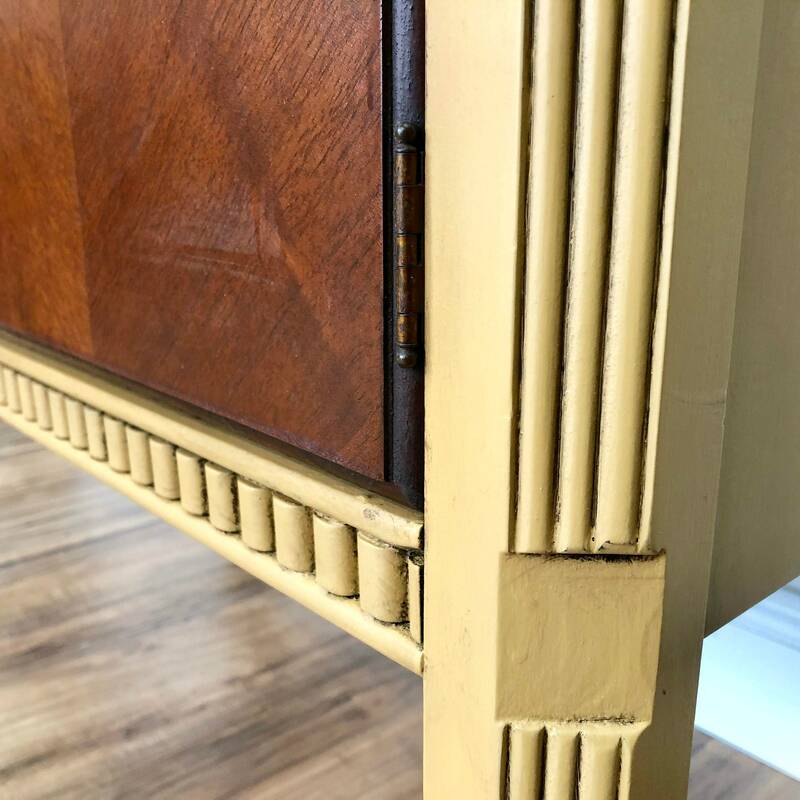 With lots of decorative details, brass accents, and a stunning mustard yellow color that offers your home a subtle, sophisticated feel. 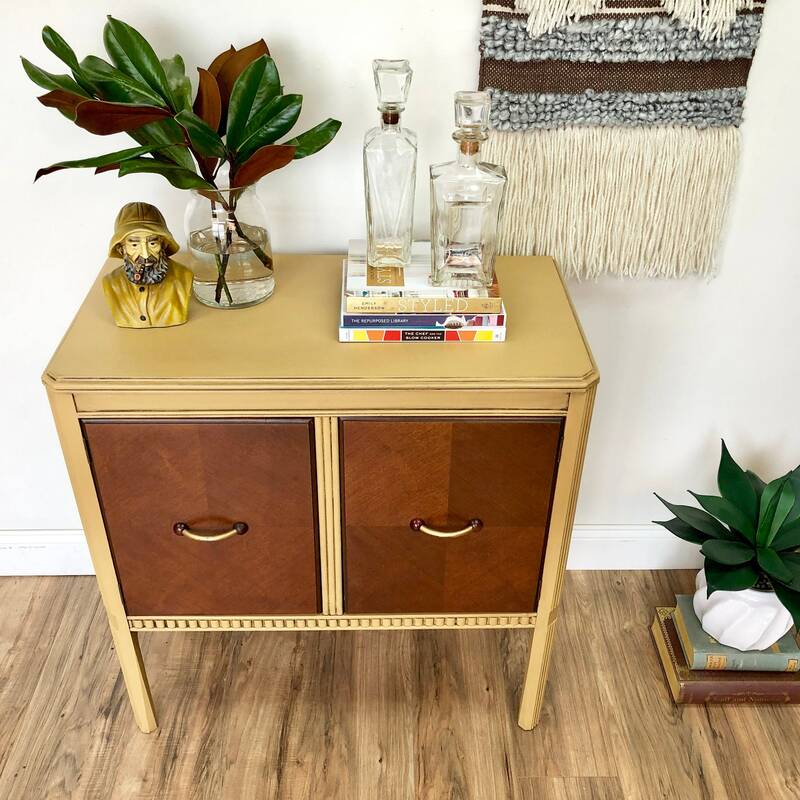 This small sideboard is extremely versatile and can easily be used as an entryway piece in a small space. 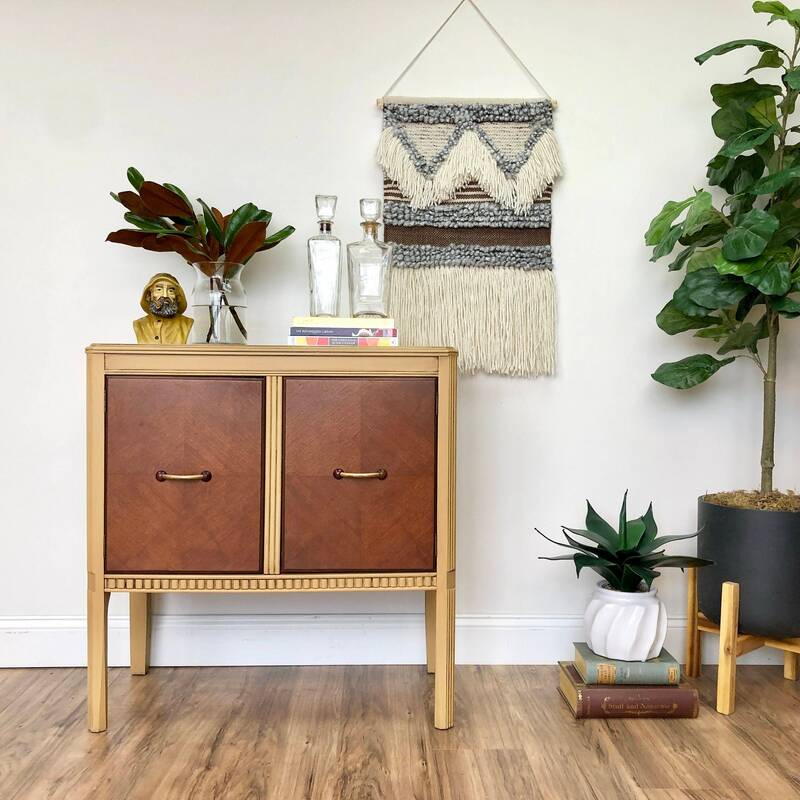 Picture it in a bathroom store towels and much more. 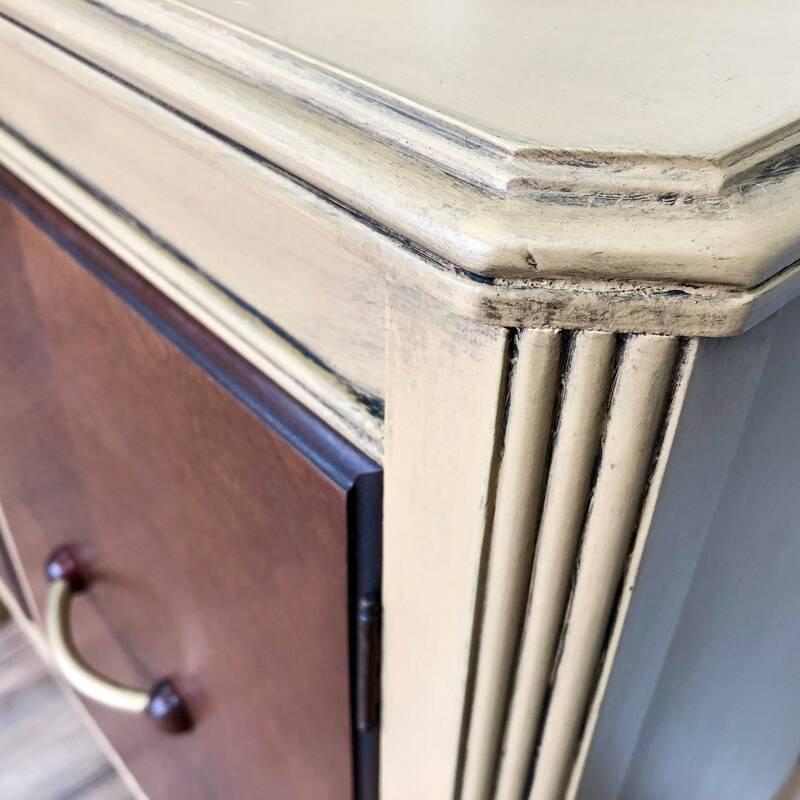 Hand-painted in a custom mix of mustard color milk paint and dark was to give it dimension and accentuate the details. 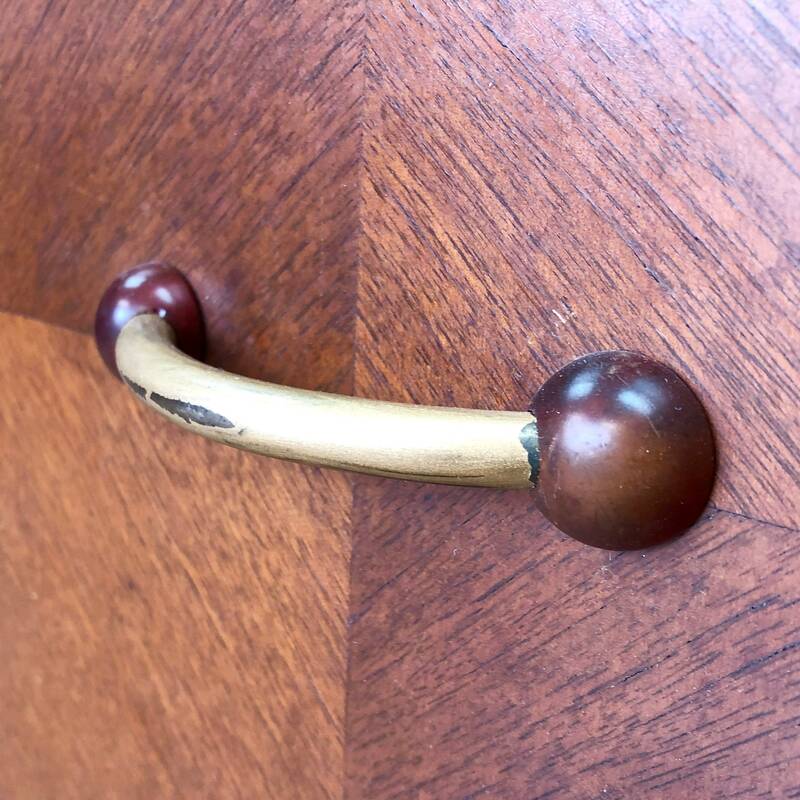 The original Art Deco handles compliments it perfectly!